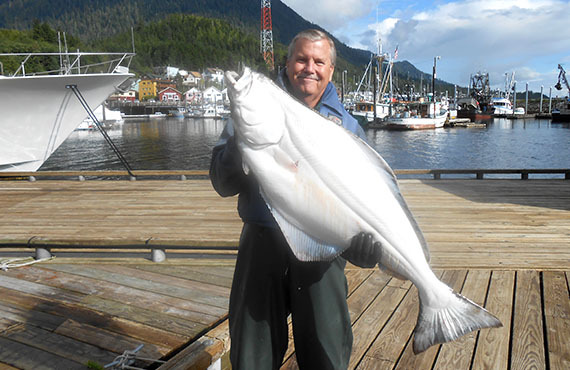 Private charter fishing options in Ketchikan. In the fishing community, Ketchikan is synonymous with salmon. With all five species making strong runs through the area at some point during the summer months, there are always multiple Pacific salmon to be targeted. Not to be overlooked, however, is our world-class bottom fishing. Baranof is uniquely equipped to target any species in our waters, including some fish not commonly sought-after. 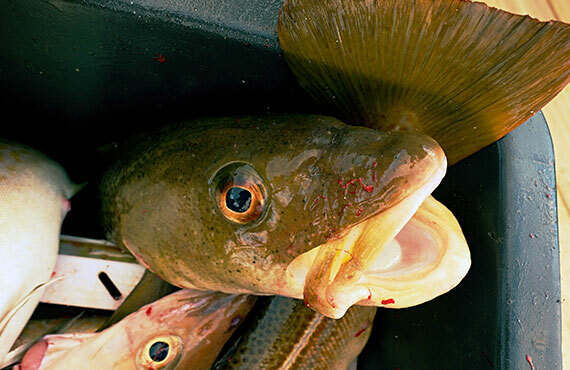 Halibut, lingcod, and snapper are worth a day out on the water on their own, but pulling up some black cod from 1,400' or night fishing for squid can turn your fishing charter into a lifetime experience. 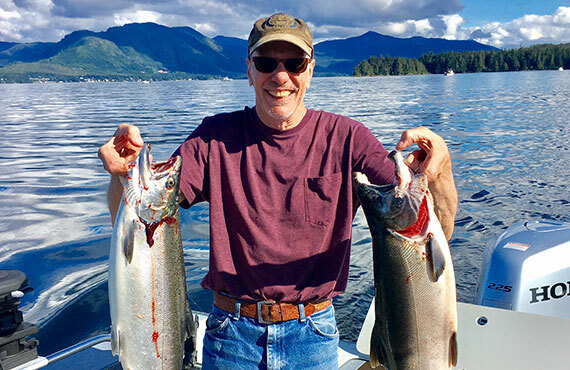 Whether focusing entirely on salmon, bottom fish, specialty species, or some kind of combination, your day on the water is entirely in your control with a private fishing charter. As mentioned above, salmon fishing is sort of the name of the game around here. Pink, Silver, and King salmon are the most popular, with Keta and Sockeye being more targets of opportunity. Traditionally, a salmon charter involves focusing on Silvers or Kings, with Pinks brought in as a by-catch. If you do limit out on the bigger salmon first, targeting Pinks to finish out the day is comparatively easy. Our restaurant, The Alaska Fish House, is located at our marina. Spend the day out on the water, and bring your catch home to have it prepared and served in our private dining room. Invite your friends and traveling companions to join you for the meal as you share stories of your Ketchikan experiences. 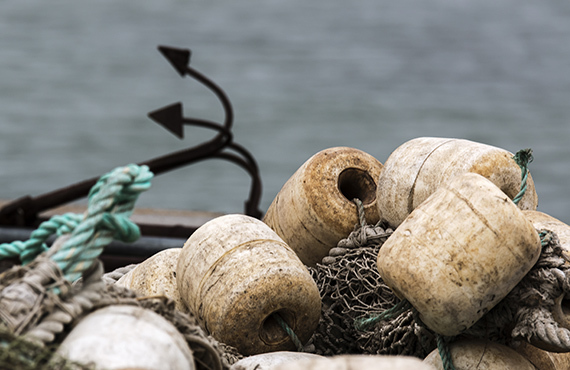 Spot shrimp and Dungeness crab are local favorites for those with the means of catching them. While shrimp tend to be fished deeper and commonly require a shrimp pot-puller, Dungies can be found shallow enough to require nothing more than some bait and a pot. The crab is delicious, but the spot shrimp are a bit of a delicacy compared to what many of us are used to. Found along the rocky bottom of Southeast, spot shrimp don't develop the "mud vein" that is indicative of other species found on primarily sedimentary ocean floors. Long story short, dropping a pot for either of our cold-water shellfish is worth the time and effort. Highly dependent on sea and weather conditions, fishing for this delicacy can be a rewarding aside to your day of salmon or halibut fishing. Considered by some to be the best tasting fish they've ever had due to their high oil content, Black Cod are targeted up to 1,400' below the surface. Let us know if this is something you'd like to allot a little time to should conditions allow, and we'll bring along the electric reels. If you'd like to dedicate a portion of your charter to pulling up squid, either for the photos, story, or eating, we can make that happen. Local angler Will Hink will hop on board as a personal instructor to show you how it's done. Squid fishing in Southeast is relatively new as far as sportfishing is concerned. 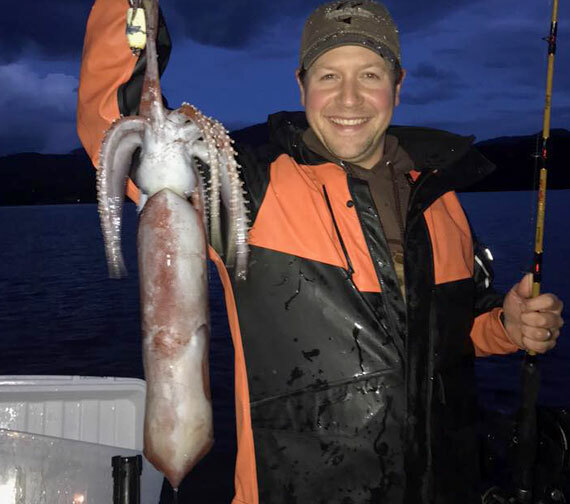 With the limited timeframe guests usually have, most of the fishing is done targeting salmon or bottom species at depths squid aren't commonly found; at least not during daylight hours. William has caught squid fairly shallow (for them) during evening hours, but for a reasonable chance of success you're looking at fishing around 600'; twice as deep as those going for halibut. As such, some advance planning is required for squidding to ensure we've got the right tackle and enough line on the poles to find some Southeast cephalopods. If your idea of a Southeast Alaska fishing charter isn't complete until you've caught a King, limited on Pink salmon, pulled up a crab pot for your kids, or left it to the discretion of your personal guide/captain as to what the best day looks like, your perfect experience is yours to craft. Give us a call or email with any questions.